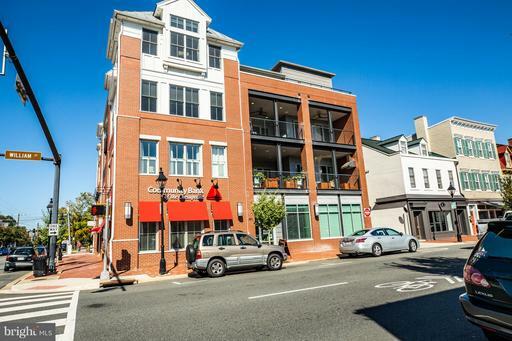 Downtown Fredericksburg is a neighborhood located in the historic city of Fredericksburg, Virginia. 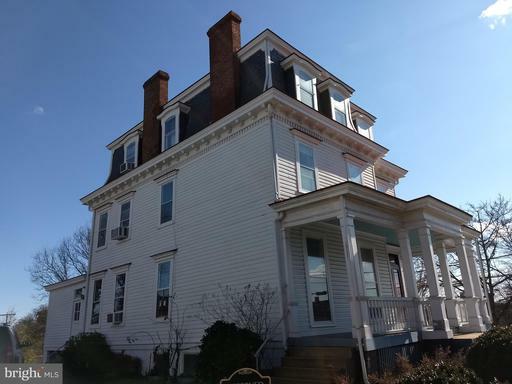 This community is full of history and character as shown through the 17th and 18th-century buildings, the wonderful parks, and the diverse and vibrant nightlife. 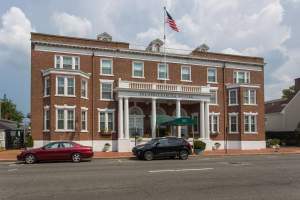 Downtown Fredericksburg is roughly belted by Route 3 to the south, Route 1 to the west, the Rappahannock River to the east, and Old Mill Park to the north. Falmouth borders the neighborhood to the north, East Village, Chancellor, and College Heights to the west, Dahlgren Junction and Brookfield to the east, and Leavells to the south. Downtown Fredericksburg is one of the main focuses of the historic city of Fredericksburg. This district is located on the National Register of Historic Places and is also a Virginia Landmark. The city was first established by an act of the Virginia General Assembly in 1728. It was named for Frederick, Prince of Wales, eldest son of King George II of Great Britain and father of King George III. Some of the streets in Downtown Fredericksburg bear the names of members of the British royal family. 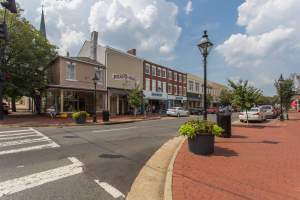 Most of the flow in Downtown Fredericksburg is to or from the Washington, D.C. metropolitan area during peak commuting hours. One main reason is Route 1, which runs over the Rappahannock River and parallels with I-95. 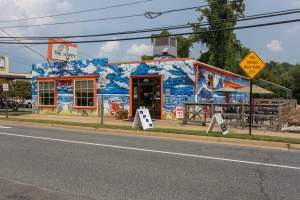 Route 3 is also close by and is a major east-west route that connects Downtown Fredericksburg to southern Stafford and some King George counties. 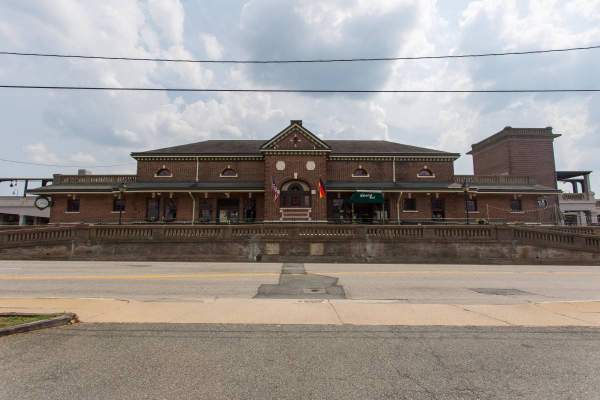 Long-distance rail service is available through Amtrak, which serves Fredericksburg via the Northeast Regional and Carolinian/Piedmont routes. The FRED bus services the city as well. 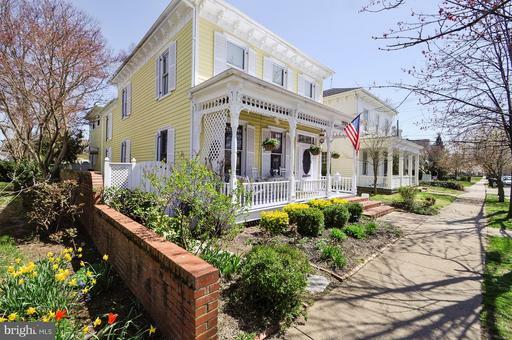 The many residential areas in Downtown Fredericksburg are close-knit neighborhoods. Their distinctive architectural characteristics reflect their respective periods of development. 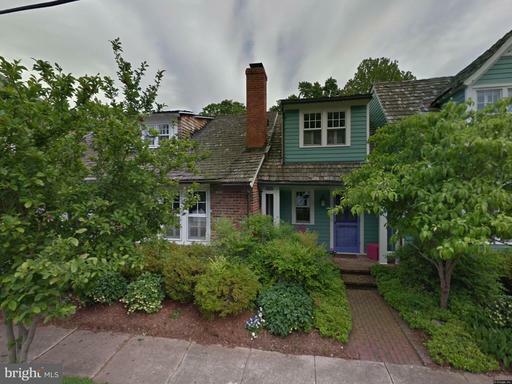 Some of the detached single-family homes are ramblers, bungalows, and Colonials. You can also find a good spread of townhouses, condominiums, and some apartment buildings. Brock’s Riverside Grill is a riverfront steak house and event space serving American fare amid a traditional decor, with a scenic balcony. The Sunday brunch is a favorite of locals, while the marinated rib eye and Burger Mondays are also an attraction. 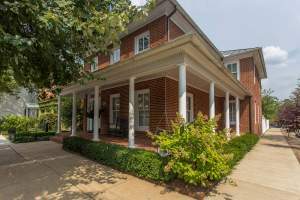 Their three banquet rooms also allow room for private events such as Civil War reunions or weddings. Further north on Sophia Street is Capital Ale House Fredericksburg. This small, but fabulous restaurant chain offers a long lineup of beers with tavern fare in a dark-wood pub surrounding. Some favorite dishes here are the mussels and the turkey on a pretzel roll. Foode is a great restaurant near Capital Ale House. 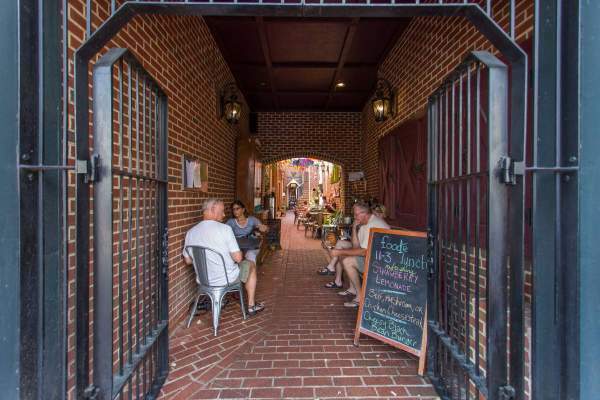 This spot serves farm-to-table American meals that come with beer & wine for dinner in rustic rooms or on the patio. Their Saturday and Sunday brunch specials are amazing, while the menu features some favorites like the daily burger special and the potato salad. 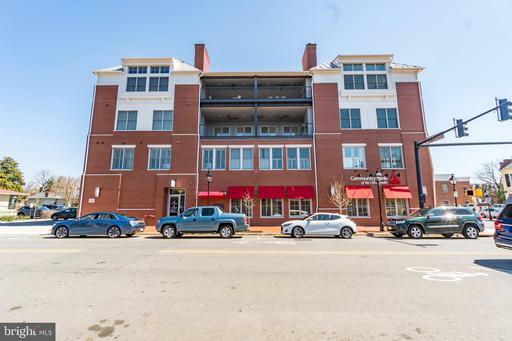 Some other notable establishments near the river include Fortune Gourmet, Tea Tyme & What Nots, Castiglia’s Italian Restaurant, Kybecca, and J. Brian’s Tap Room. Restaurants closer to the western edge of the neighborhood are Miso Asian Grill & Sushi Bar, Umi Japanese Fine Dining, and Allman’s Bar-B-Que. Old Mill Park is located on the northern tip of the neighborhood and is a public park on the water featuring a swimming beach, soccer fields, and picnic areas. Crossing the Rappahannock River, you will find other parks like the John Lee Pratt Memorial Park. At this spacious park you will find picnic pavilions, grills, basketball courts, tennis courts, two one-mile trails for walking and biking, a baseball field, 10 soccer fields, and a Frisbee disc golf course. Other terrific parks in the neighborhood include Kenmore Park and Cobblestone Park while the Confederate and Fredericksburg National Cemeteries are also much-visited areas. Kenmore is listed on the National Register of Historic Places and is the only surviving structure from the Kenmore plantation. It was home of Fielding and Betty Washington Lewis, with Betty being the sister of George Washington. Another historic building is the Rising Sun Tavern. This site was built in 1760 as a home for Charles Washington, George’s younger brother. 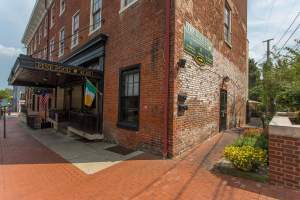 It became a tavern in 1792 and is currently restored and offering tours. The Hugh Mercer Apothecary is another spot worth visiting. This once pharmacy is now a museum of Colonial medicine with vivid, 1st person tours in a restored 18th-century building. Check out other important buildings such as the James Monroe Museum & Memorial Library and the Mary Washington house. Dominating the center of this neighborhood is the University of Mary Washington. 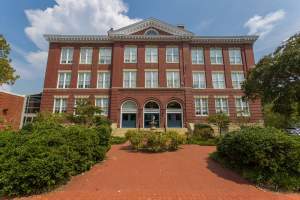 This public university was established in 1908 and focuses on undergraduate education in liberal arts. South of the campus is the Battleground Athletic Complex, home to many sports events. Other schools in the area include James Monroe High School and the Maury School. Downtown Fredericksburg has an identity and character that is directly related to its rich history. 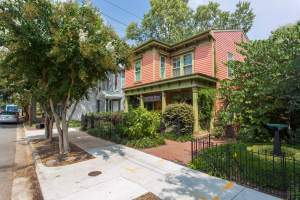 The neighborhoods vibe and culture is evident through the diverse structured homes, the eclectic restaurants, and the vast amount of parks and historical structures. 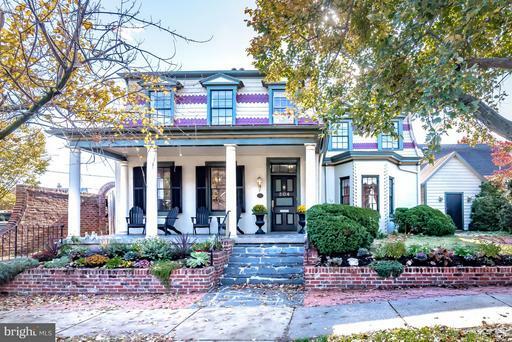 What does the most expensive home in Downtown Fredericksburg look like? 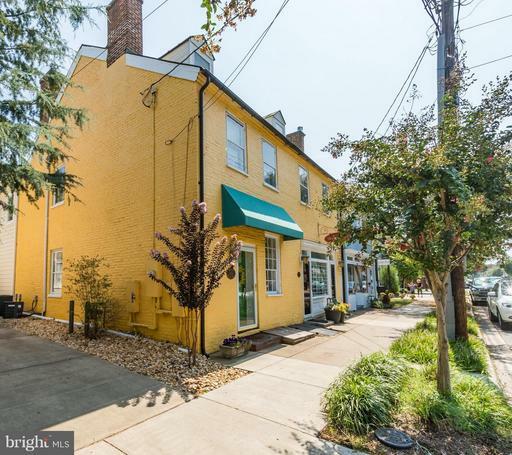 The number of Downtown Fredericksburg homes listed for sale. Lower inventory favors sellers in negotiations. 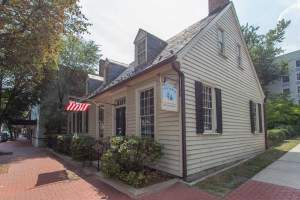 The number of homes listed for sale in Downtown Fredericksburg divided by the number of homes sold in one month. Higher inventory favors buyers. 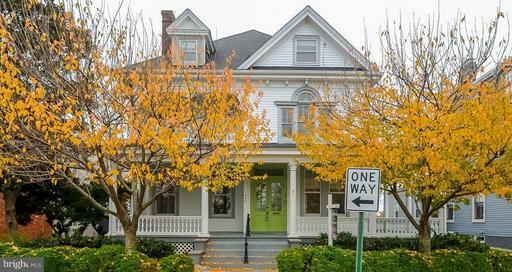 Ratio of homes in Downtown Fredericksburg listed for sale versus those under contract. The lower the number, the hotter the market. Shows a comparison between the final sales price of homes sold in Downtown Fredericksburg versus their list price. Average days from Listing Date to Sold Date for Downtown Fredericksburg homes that sold in the past 90 days.